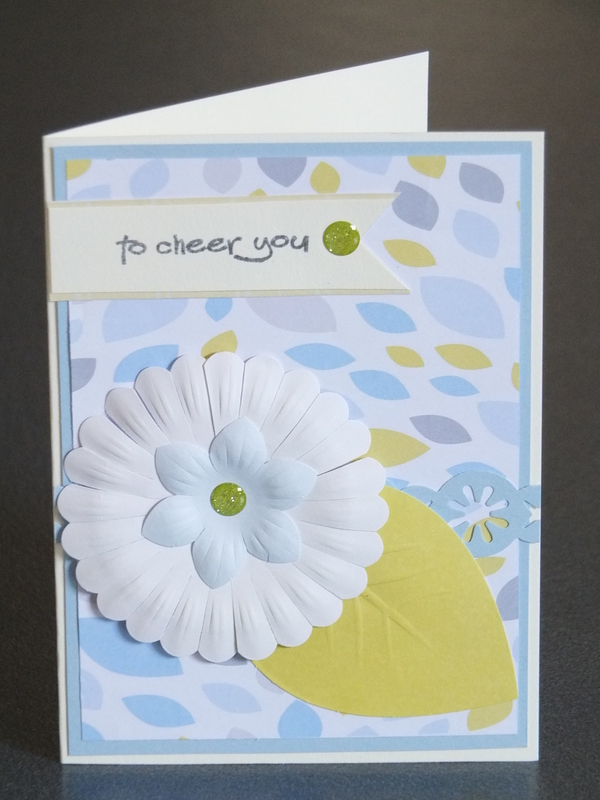 I have added some new photos of cards that I have just completed on my Crafty Creations page. 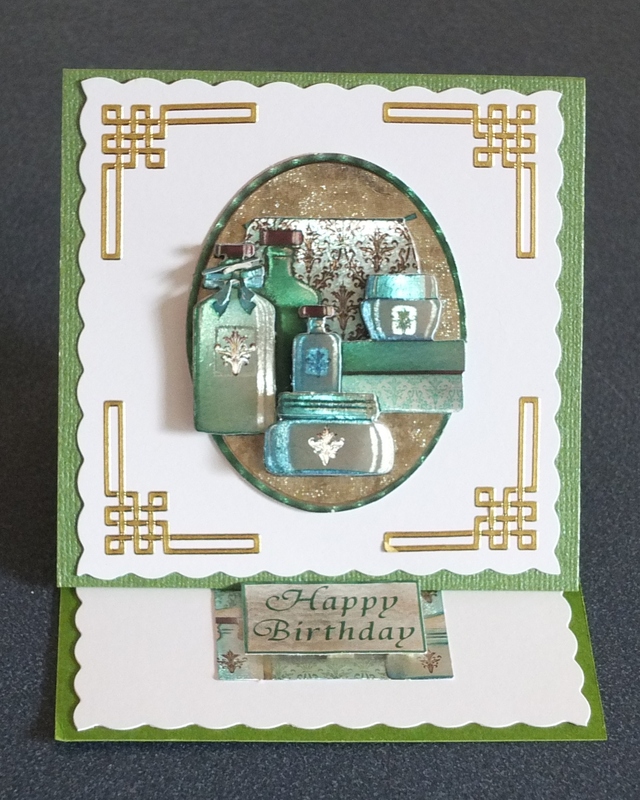 I have used a mix of different products to create 10 cards out of one sheet of die cut paper tole images. 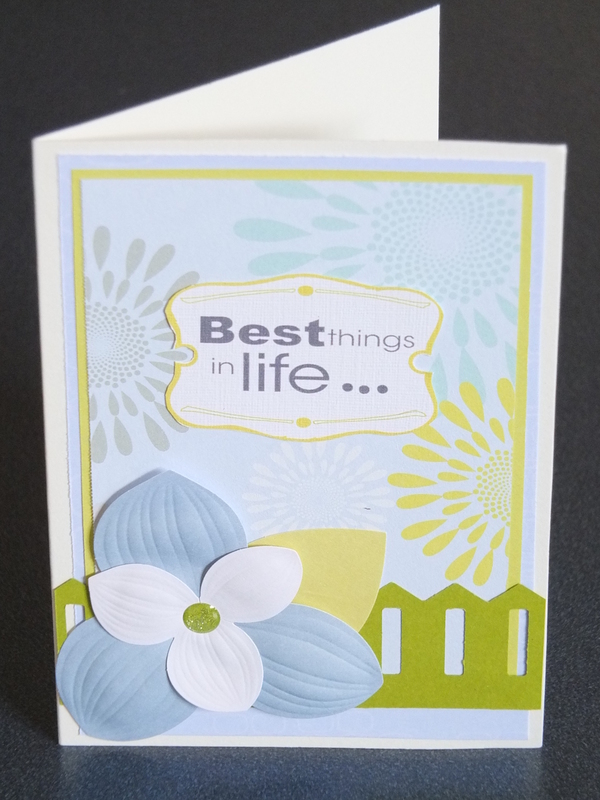 Very economical to make a themed set of cards and would be great in a set as a gift. This sheet is lovely with the metallic finish and looks great as a three dimensional embellishment. As you can see my template for an Easel card has been utilised to great effect here. I hope you are all having a crafty Easter. I would like to wish everyone a happy, healthy and safe Easter. When I was at Crafty Angels last week I did these cards out of one piece of 12 x 12 cardstock. I love using the Reflections range to make cards as the colours are so peaceful and serene. The flowers are gorgeous as well, topped off beautifully by the bling from the Enchanted range. 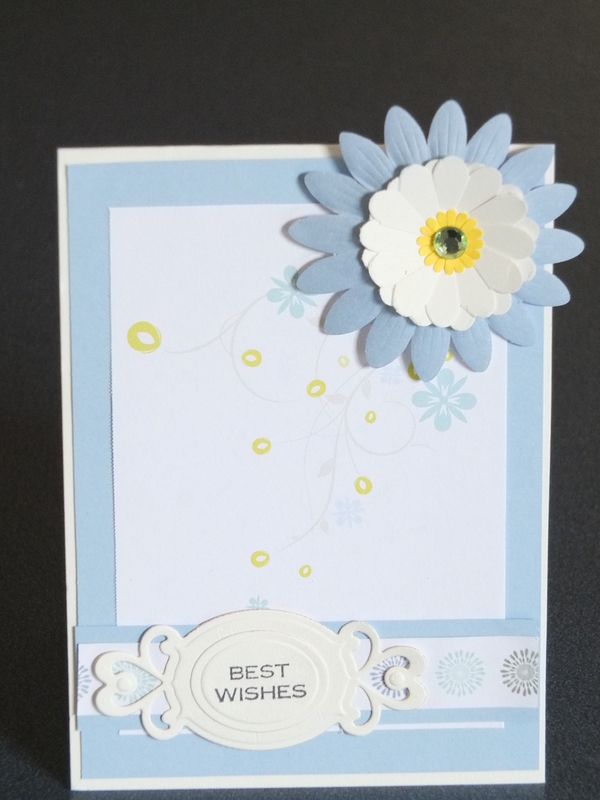 You can also see I have made a daisy from a previous post as well as using the border maker picket fence and twinkle chain cartridge. The background paper in the middle card was printed off from my StoryBook Creator 4.0. I find that is a great way to get different papers when I need something in a hurry. I have also used it for doing sentiments, as well as in the last card. I must confess to using my Cuttlebug and Spellbinders dies as well as some Stampendous and Stamp’n’Up stamps for the sentiments. I got the dimensions for these cards from http://scraphappywithbrenda.blogspot.co.nz/2012/03/3-cards-from-12×12-base.html. If you would like to know more about Creative Memories and their products please feel free to contact me. As you can see they are very versatile for all your cardmaking and scrapbooking needs. 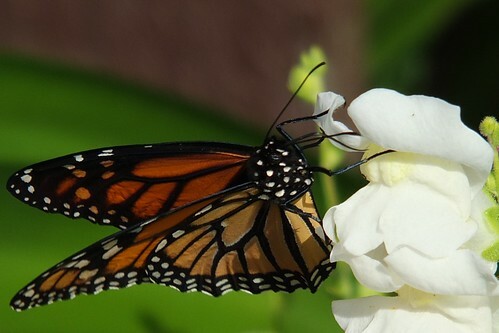 Monarch butterfly on snapdragon_0002.jpg, a photo by Patricia Manhire on Flickr. My photo of the day. I had just come home after getting some photos printed for a camera club competition when I saw this monarch butterfly outside. I rushed inside to get my camera and managed to take a series of photos with this one being the best. I love the majesty and fragility of these butterflies. So I was back at the shop to print this one of for the camera club competition. This is my first entry so I do not know how I will go. Will keep you posted. 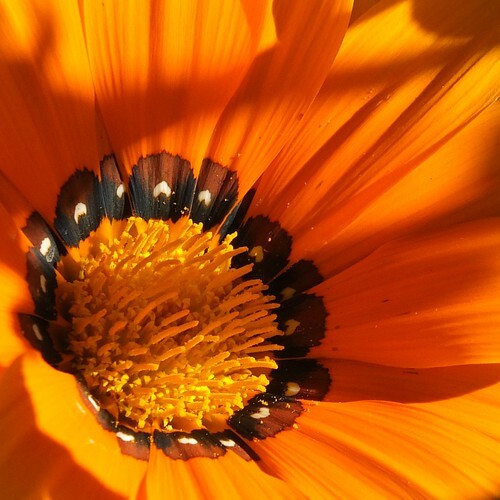 Gorgeous gazinia.jpg, a photo by Patricia Manhire on Flickr. My photo of the day. This year I have planted some gazinias in my garden and they have been amazing with such bright colours. This shot is my first attempt at a close macro and I am really pleased with the photo. I am so thrilled with what I can achieve with my camera. This is another photo that will remind me of summer in the midst of winter. I hope you take pleasure in this photo too. Sox and his shadow.jpg, a photo by Patricia Manhire on Flickr. 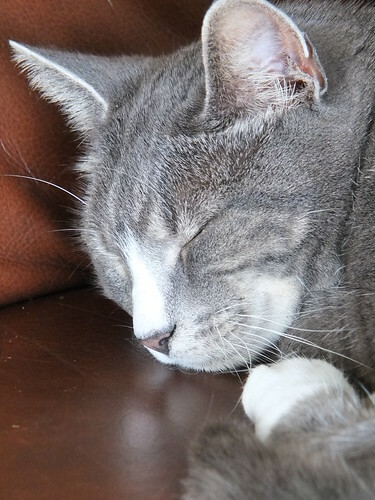 Thank you so much for visiting my blog and taking the time to like my posts. It is lovely to get all the feedback about my crafty endeavours. Today I am combining my photography with my digital art. 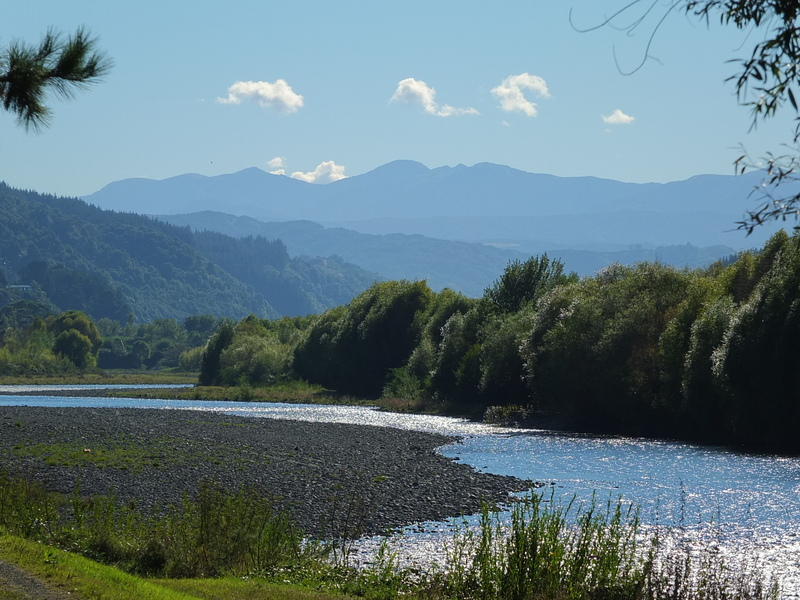 Yesterday I took advantage of the beautiful weather to go down to the Hutt River and take some photos. The scenery is just amazing there and I managed to get some great photos. Today I have done a very simple artwork with my StoryBook Creator 4.0 and will look at getting this made into a photo panel to hang on the wall. Unfortunately, some of the photo was lost translating from a 6 x 4 image to a 12 x 12 image, but the photo is still great. I did not want to play around with it too much and lose the great colours and depth of field. In the middle of winter I can look back at this image and it will remind me that winter does end and that summer will come eventually. 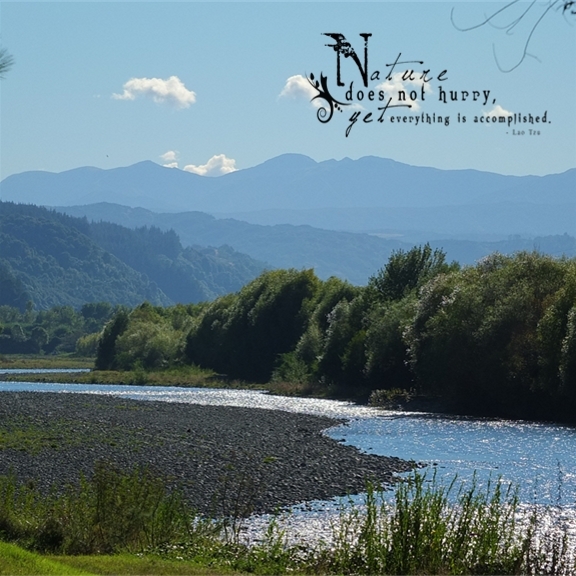 To create this all I did was use a full-page photo layout and then just added the freebie sentiment. Took all of a couple of minutes to do. How simple is this! And what a great gift it would be as well. I will look at making this into a card as well and do something very similar. Incidentally, despite the glorious weather we are still in drought conditions and we have severe water restrictions which may hamper my photography around my little garden – or it may not… I might see some very different and interesting shapes out in the garden before the big dry ends.